Genevieve Cruz Miller has been the Meteorologist-in-Charge of the Weather Forecast Office in Tiyan, Guam since 2002, where she supervises a staff of 24, including forecasters, hydrometeorological technicians and electronic technicians. Genevieve has a lifelong connection to Guam and the National Weather Service. Born and raised in Guam, her father, Joaquin T. Cruz, was a meteorological technician for the first NWS office on Guam. Her exposure to the weather service office and her personal experience with the devastating Super Typhoon Pamela in 1976 that caused US$500m worth of damage fueled her interest in tropical cyclones and weather. Genevieve attended the University of Hawaii at Manoa where she received a Bachelor of Science degree in meteorology in 1987. 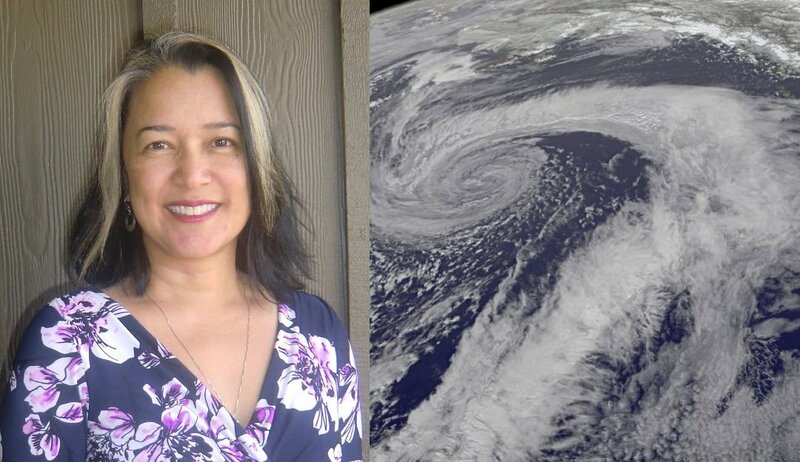 Ms Miller started her weather service career in 1988 as a meteorologist intern in Weather Service Office in Hilo, Hawaii and later became the Developmental Meteorologist at the Weather Service Forecast Office in Honolulu in 1990. She was fortunate to fill a meteorologist position with the Weather Service Office (Aviation) Guam in 1992 and worked with the Naval Pacific Meteorology and Oceanography Command Detachment (NPMOCD) in providing the public, marine and aviation forecasts for Guam and Micronesia. Genevieve continued as a forecaster for the National Weather Services spin‐off office in 1995. The new NWS office assumed total forecasting responsibility from the Navy and serviced the local community, as well as the surrounding Micronesia Region. Ms Miller’s understanding of local culture and its diversity made her the ideal choice for Warning Coordination Meteorologist in 2001. A year later, she was promoted to meteorologist-in-charge. Since then she has overseen the forecast operations through hazards such as typhoons, earthquakes, and volcanic eruptions.